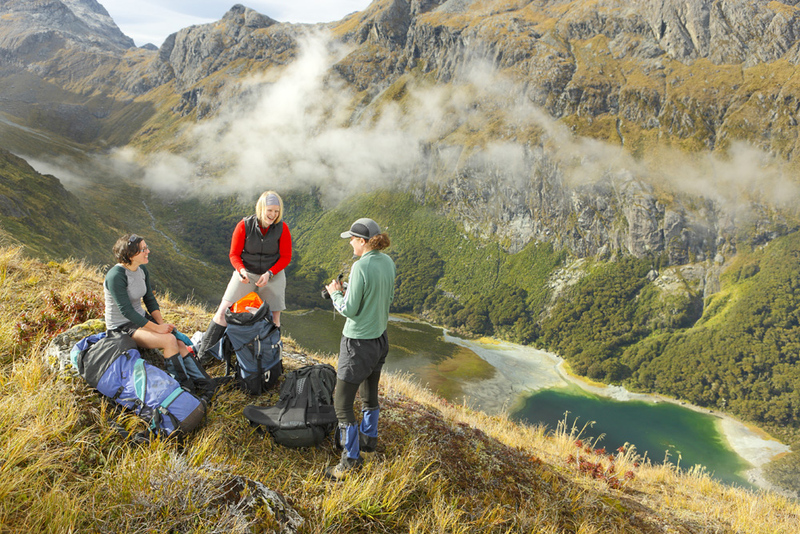 A guided day excursion from Te Anau to Key Summit on the renowned Routeburn Track. Begin the journey with a spectacular scenic drive along the Milford Road with opportunities for short nature walks and photo stops. Arrive at the Divide Shelter, the starting point for the Routeburn Track and your guided walk to Key Summit. The walk ascends through lush, temperate rainforest on a well maintained track. The steady climb takes approximately 2 hours. Gaining an elevation of 400 metres, emerge from the forest into the alpine environment of Key Summit, with panoramic views of high snowy peaks, alpine lakes, and deep bush clad valleys. The guide will find the best place for lunch on the day. After lunch, steps are retraced to the Divide Shelter before returning to Te Anau.